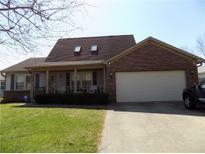 Find Whiteland, IN Homes for sale. View Photos, Maps and MLS Data Now! Open floor plan, Master Suite, lovely fresh paint, extra large back deck that will be great for entertaining. This house wont last long! MLS#21633137. The Cooper Real Estate Group. Meadow Creek - Seller is offering a home warranty through HMS. MLS#21632461. Mike Watkins Real Estate Group. Chadlo - Dishwasher, air conditioner, gas water heater, and garage door opener all new in 2013. A must see! MLS#21632985. Carpenter, REALTORS®. Columbus To The South Within 40 Minutes. 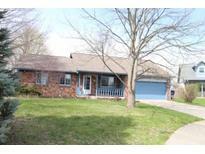 MLS#21632802. Cottingham Realty, Appraisal. Park Forest - Located on a dead end street. 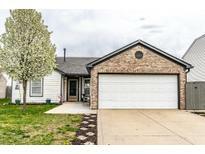 MLS#21631694. Weichert, REALTORS®. Oakville - Enjoy the summer with fiberglass in-ground pool & pool cover replaced in ’17 with 7 year warranty. Too many features to mention! MLS#21631463. F.C. Tucker Company. This is a MUST SEE! NO HOA MLS#21631781. Carpenter, REALTORS®. Park Forest - Nice size yard is great for entertaining. MLS#21631566. Carpenter, REALTORS®. Chadlo - Low Taxes, Utilities and NO HOA! MLS#21630143. Lasiter Real Estate & Property. One-year HSA Home Warranty included & transferrable to buyer. 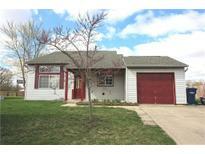 MLS#21629563. CENTURY 21 Scheetz. Chadlo - This home is sure to go fast! MLS#21628580. Carpenter, REALTORS®. 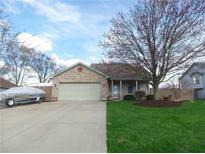 Located in the heart of Whiteland and in walking distance to schools and parks. NO HOA. MLS#21627493. Weichert, Realtors-Tralee Prop. 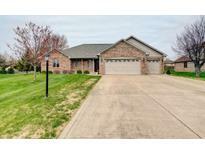 Greenwood Trace - CONVENIENT location, close to stores, restaurants and I-65. MLS#21627318. Indiana Realty Pros, Inc..
You don't want to miss this one! MLS#21623738. Red Hot, REALTORS LLC. Don't wait on this sweet Little Jewel!! ! MLS#21622316. Bruce Richardson Realty, LLC. A brand new septic was put in three years ago and the Kinetico water softener with K5 drinking system will be staying. MLS#21615914. Mentor Listing Realty Inc. Improvements:New Toilet & Flooring in ½ bath; New Flooring & Fresh Paint in Main bath, Kitchen, Great Room & Upstairs bedroom,Master bedroom & bath, third bedroom;Fresh Paint in all bedrooms;New Rear Glass slider;Roof is only 6 years old (30 years shingles).You will enjoy this home for many years to come! MLS#21612056. F.C. Tucker Company. Spacious master bath has double sinks, garden tub and separate shower stall. MLS#21608050. RE/MAX Realty Group.